In broad overview the UK tax regime for company cars is not favourable. The tax system discourages the use of cars, with the aim of reducing pollution and congestion. The trend has been an increase in the tax burden to deter the use of cars, and there are no indications that this trend is set to alter. Consequently, businesses should consider tax implications carefully in any plan about financing of motor costs. The tax implications for a sole trader or partner using a business vehicle are more straightforward. All of the running costs are deducted from taxable profits and a percentage of the original cost is deducted each year. This form of tax depreciation is referred to as a capital allowance. Where there is private use of vehicle, the deduction from taxable profits for running costs, and for capital allowances is restricted accordingly. The position for a limited company is that all motor costs are deducted from taxable profits, even if there is non-business use of the vehicle. Where there is private use, the employee is treated as receiving a benefit, and taxed accordingly. Capital allowances are deducted from profits to provide tax relief for the original cost of the vehicle. The amount of benefit taxed on an employee is often much higher than the cash equivalent of providing the car. For this reason, business cars are usually cheaper for sole traders. Directors often use the mileage allowance instead. Interest on a general business loan is fully deductible from profits, whereas car loan interest would be restricted based on any private use of the vehicle. Therefore, partnerships and sole traders should consider the tax efficiency of financing arrangements required to meet motor costs. A capital allowance is the amount of the purchase price of an asset which can be deducted from taxable profits each year. It applies to cars that are purchased outright, or via hire purchase. It does not apply to cars which are leased. The percentage of the car which can be deducted from tax depends on the CO2 emissions according to the following scale. 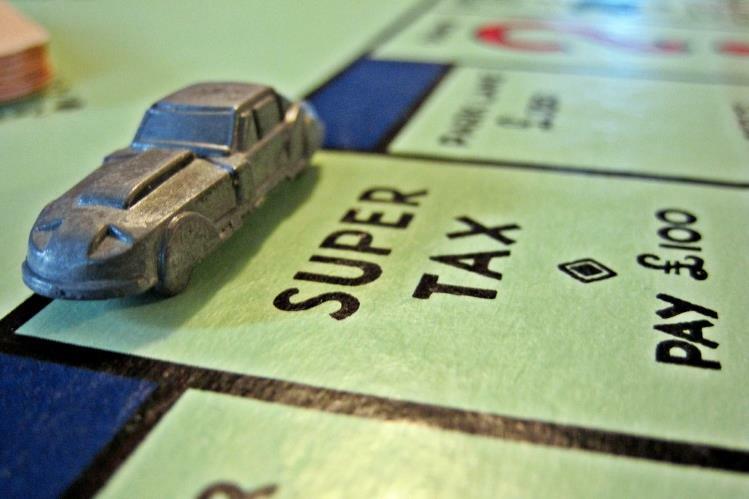 Cars with CO2 emissions in the highest tax band, will be put into a special rate pool. Written down allowances on the special rate pool are 8% and on the main pool are 18%. For unincorporated businesses (sole traders and partnerships), cars are put into a separate pool if there is private use. This is not required for companies, since the full writing down allowance is deducted on vehicles with mixed private and business use. 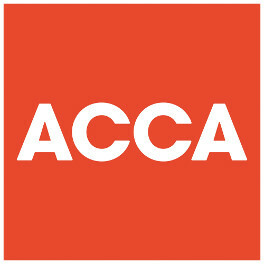 Employees and directors are subject to tax on the benefit of private use. In general, when an asset is disposed of the tax depreciated value, known as the written down value, is compared with sale proceeds. The difference is either added to tax, called a balancing charge, or deducted from taxable profits, referred to as a balancing allowance. Regardless of whether a car is in a special rate pool or main pool there is no balancing allowance (or balancing charge) when it disposed of. The absence of a balancing allowance is a significant drawback. In effect, it means that full tax relief for the purchase of the car may not be fully obtained until years after it has been sold or scrapped. Pools with a balance of less than £1,000 can be written off in full. When the business ceases the written down value is compared to market value of assets giving rise to a balancing allowance or charge. A car which is used privately by a sole trader is placed in a ‘single asset pool.’ (The single asset pool facilitates a calculation of the capital allowance restriction for the proportion of non-business use.) A balancing allowance or charge on a single asset pool is calculated when the asset is disposed of. Quirkily therefore, a partner or sole trader may get tax relief faster if there is some private use of the car. Companies do not have single assets pools because there is no adjustment to capital allowances for private use by an employee or director. 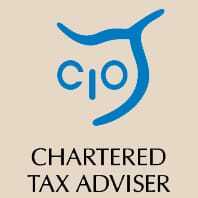 For sole traders, it is possible to disclaim capital allowances, for instance to make more effective use of the personal allowance. However, this would not be possible if a car had been leased. Providing an employee with a car for private use is treated as benefit in kind. The amount of benefit is calculated by multiplying a percentage by the list price of the car. The percentage is based on CO2 emissions, as explained in a separate guide about the car benefit charge. The employee benefit-in-kind is taxed the same way for a car that is bought as it is for a car that is leased. The main tax implications of leasing as a form of finance are therefore about the deduction of VAT, and comparing capital allowances with lease deductions. The taxable benefit will be liable to income tax in the hands of the employee, and will give rise to a Class 1A national insurance liability for the employer. The benefit of a providing a commercial vehicle (van) is based on a fixed rate. In general, the taxable benefit will be far less than for a car. Where there is commuting and incidental private use of a van, there will not be a taxable benefit. This contrast with the far stricter rules applied to private use of cars. Where the employer provides fuel, the employee will be treated as receiving a taxable benefit. For a car, the benefit is a fuel benefit multiplier applied to a percentage which is based on CO2 emissions. The benefit is a fixed for a van. If an employee reimburses the employer at an HMRC approved rate for the use of private fuel, there will be no taxable benefit. The same scale can be used for the employer to reimburse business fuel costs only. It is a car and used exclusively for business. The definition of private use is discussed in a different section, but so restrictive that most company cars would probably not be treated as business vehicles for tax purposes. The vehicle is a pool car. It is a commercial vehicle, such as a van, or it is a motorcycle. Certain cars provided to people with disability can be zero rated for VAT. If the car is leased, a VAT registered business can reclaim 50% of the VAT on lease costs. In the rare instance that the vehicle is not available for private use, 100% of VAT on lease payments can be recovered. VAT on maintenance payments and other running costs will be tax deductible in full. Special rules apply to VAT on petrol. Where an employee uses their own car for business travel, the employee’s taxable income can be reduced for business miles travelled according to the mileage allowance. The advantage about this arrangement is that it avoids the tax and national insurance implications of a taxable benefit. There are also administrative savings because a mileage allowance is simpler to calculate. Using a privately owned vehicle is often the preferred route for company owners. Leasing can be separated into two types for the purposes of taxation: car rental and finance leasing. In practice, a contract hire, involves an arrangement lasting about two to three years in which the car and all other costs are covered by an agreed monthly payment. The car is returned to the lessee at the end of the agreement, and subject to the car being in good condition and not having exceeded a set number of miles, there are no further payments due. Car rental is usually for a shorter period such as a day or week. Under car hire arrangements, the full rental is deducted from business profits as the cost is incurred. The definition of business use is the same regardless of whether the car is owned, leased or rented by the company. Therefore, a taxable benefit arises on the provision of a hire car to an employee for private use. A hire car which is a replacement for a company car made unavailable for a period of 30 days or less is not a taxable benefit provided to an employee. However, it should also be noted that a car benefit is reduced to cover a period where the car is unavailable, provided that period is at least 30 days. Consequently in many cases, the provision of a replacement hire car will not affect the benefit on which an employee is assessed. A finance lease requires the lessee to cover all the running costs of the car. However, it differs from a hire purchase agreement because the car is not the possession of the lessee at the end of the agreement. A business cannot claim capital allowances for a leased car, because it does not own the vehicle. Instead, the cost of the lease payments are deducted from profits as they are incurred. For cars with CO2 emissions over 130 g/km, the deduction from taxable profits is restricted to 85% of the lease payment. Where there is private use of a leased car, the lease payments are deducted from profits, but the employee will be treated as receiving a benefit. This benefit is calculated based on list price and CO2 emission of the vehicle in the same way as for cars which are owned by the company. Even though legal ownership remains with the lessor, generally accepted accounting practice (GAAP) requires that the leased vehicle is included on the balance sheet of the company. Under a hire purchase agreement, capital allowances are applied to the full value of the car from the start of the agreement. Tax relief on hire purchase payments are more closely matched with cash flows as compared with outright purchase. For tax purposes, the definition of cars, excludes both vans and motorcycles. Therefore, the full cost of a van or motorcycle can usually be deducted from taxable profits in the year of purchase. This is because the annual investment allowance can be allocated to these types of vehicles. If there is incidental private use, or just commuting no taxable benefit arises on the provision of a company van. If the van is made available for private use, there is a van benefit and van fuel benefit charge, however this is typically much lower than the charge for a company car. If there is a significant level of private use of company motorcycle, 20% of the market value is assessed to the employee as a benefit in kind each year. HMRC have stipulated that a vehicle would have no private use if the car is neither used for private purposes nor is allowed to be used for non-business purposes. This means that there would be a benefit in kind if the car could be used for private purposes, even if it not so used. As a practical step, it would be more straightforward to demonstrate that private use was prohibited if the car was only insured for business use. However, the courts have explained that no private use must be expressly stated and be capable of being enforced. A term within an employment contract should meet this requirement. The employee has worked, or is expected to work, for longer than 24 months. If there is no ‘ordinary commuting’, then, the courts have decided, leaving a car outside the home of the taxpayer would not in itself amount to private use. No journey of a person who mainly works from home would be ordinary commuting. The definition of private use is the same for VAT purposes. The vehicle cannot be available for private use, nor should be used privately. However, for car hire, HMRC have agreed that, private use will be ignored where the period of hire is for 10 days or less. Provided the car is hired for business purposes, weekend and evening use will be ignored, following the HMRC concession. As a result, 100% VAT can be recovered for short term hire of a car. VAT can be reclaimed on a pool car. Not normally used by one employee to the exclusion of others. If purchased, the full cost of a car will be can be deducted from company profits in same year of purchase if CO2 emissions are 75g/km or lower. This contrasts with annual tax depreciation (capital allowances) of 8% or 18% otherwise. If obtained via hire purchase, the full cost is deducted from profits in the year of purchase. However, the payments are usually spread over a period of longer than a year. Hire purchase provides a cash flow benefit over alternatives. However, the cost is usually higher to factor in the cost of financing. Loan interest is tax deductible. If leased, the full cost cannot be deducted from profits in the first year. The lease payments are deducted from company profits as they are incurred. Unlike purchase or hire purchase, 50% of VAT can be recovered. 100% VAT cannot only be recovered if the can is only available for business purposes. In practice, business only insurance may be a minimum for meeting this requirement. For VAT exempt and non-VAT registered businesses, outright purchase is preferable. The benefit in kind of a company car is 7% of its value, where CO2 emissions are below 50 g/km. This applies to electric and many hybrid cars. For a car with a price of £20,000, the annual benefit would be £1,000. A form P11d will need to be completed each year, which adds to the compliance cost. Acquiring an electric or hybrid fuel car. The benefit is not entirely avoided by signifcantly reduced. Treating the car as a pool car. Where neither of the above is practical, it is better for the motorist to reimburse the company for the use of fuel. Unless consumption is far higher than average the tax charge for the provision of fuel will be higher than the cost of fuel reimbursement using the approved HMRC rates. There may be little tax advantage to hire purchase or leasing arrangements as compared with outright ownership. This is because both options will still create a benefit in kind. However, if business use is only an occasional requirement, ad hoc daily rental could avoid a taxable benefit arising. Furthermore there are VAT advantages, as explained in the guidance about private use for VAT purposes. Even if there is private use of a hire care, the taxable benefit will be reduced according to the number of days in the year for which the rental car was available. In practice, a business is less prone to keep a hire car for any longer than it is required where it offers fewer hassles to be rid of. The tax savings of a car for non-business use may justify the purchase of two cars, say with one which is insured only for business purposes. A finance lease allows greater scope for VAT relief than purchase or hire purchase of a car. Except for car with CO2 emissions with 75 g/km or less, the tax deduction of a leased car tends to correspond more closely with the loss in value of the car. The tax write off for a leased car is not restricted by the capital allowance rules as the write off is for purchased cars. Depreciation is factored into lease payments and deductible from tax adjusted profit. Consider the use of a van or motorcycle as more tax efficient alterntaives to a car. With tax on both company profits and o the extraction of company profits, the purchase of car presents an alternative for reimvesting profits. With careful planning and perhaps some compromises an economic outcome can still be achieved.